Telecare Soapbox: Is mHealth/eHealth becoming a ‘Field of Dreams’? 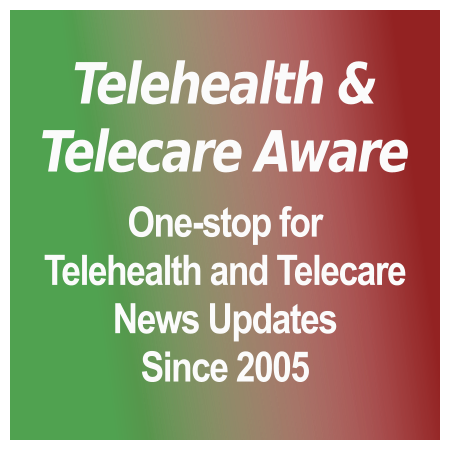 Editor Donna muses on the link in the telecare chain where it can all fall down – the person who is expected to use the device. We can get telehealth and mhealth into the home care or healthcare provider, payer, ‘app store’ or ‘ecosystem’ (the ‘push’), but you cannot force the client or patient to use it. The buzz may be about how slick a system or app is, how to sell it to the C-suite or even the Four Big Questions, but have we forgotten someone? We assume that end users/clients/patients will be delighted to use our wonderful devices, in the way they should be used–consistently, correctly, continuously until they… expire. Step back and think about human behavior, however, and you realize…that cannot be true. Can any reader of this article disprove this proposition: Many prime candidates for telehealth don’t want to admit they have a chronic condition, and moreover, don’t want to be bothered to manage it using buttons to push, manipulating devices, wearing things, etc. Stan Newman’s presentation at the King’s Fund (sign up required to view) delves into why a significant population in the WSD turned down the opportunity to have telehealth in their homes. Suspicious that telehealth was being used to (eventually) take something away from them, coinciding with a time of economic austerity. These persons believe that their services will change, and not for the better. So back we are to a marketing problem. Let’s first brace ourselves with Stan Newman’s blunt admission: telehealth is not applicable to everyone. But for those whom it is, the problem centers on how to present telehealth the right way, to damp down natural suspicions and create appeal in the mind of the user, both for adoption and for long term use. While I am not a huge fan of nationalized health (to the contrary), to this Yank the local councils/NHS in the UK have done a far better job of integrating telehealth, particularly for older people, into community services and life than we have. Yet they struggle with usage and cost factors too (see all that Steve has written on the WSD). How do we make m/eHealth and telehealth the cool thing to do for the average person? How do we fit it into a person’s life, like taking a vitamin? This is not Field of Dreams-ville--the ‘quantified life’ that plays well to early adopters, the obsessives, the “gearheads”, the hypesters and the m/eHealth cocktail party circuit. How do we make self-monitoring a ‘given’ or ‘routine’ appealing to anyone–in other words, a no-brainer? IMO we should start with a more basic premise of adding value to things people already use. Success with this will convince everyone of the value that can be achieved from connectivity. I have found this with the new mobile connected Smoke Alarms. Simply supports existing systems (everyone has a smoke alarm), is low cost, provides help when needed with little/privacy concerns (when you have a fire that’s not a priority). Also important to start with a value proposition that everyone understands. If you are disabled, deaf, live alone, have a very specific health condition, have a home filled with O2 gas, etc, etc, it’s easy to see the value of communicating this key information and the need for a response automatically to emergency services. As coming from a mobile back ground, I have watched with interest the fact that all the mobile networks and devolpers consentrate on new health apps and I may have got this wrong but I have been thinking what is the point if the user is not going to interact with the device. Mobile apps are great and for my generation (45) we will easily be able to work our way around a smart phone, but to a large percentage of users who require M-Health at the moment if they cannot understand or want to use the device that the ap is presented on they will not use it. This is why we have made our mobile product as simple as possible. To the normal user it is a convention mobile phone, which is also easy and simple to use. What is special is what is going on behind that matters. We intent to add other apps, monitoring ect but that is all behind the scenes. Keep it simple, if we dont then the take up will be poor no matter how good the app is and can benifit the user. It is not about making it appealing – it is about making it a part of what we do and how we access care services. There also needs to be a penalty if it is not used. Unfortunately penalties are the hard side that we don’t like to walk along but are necessary to implant Telehealth on the masses. If you have a heart attack and are employed then your employer will take you back on so long as you check your observations on a daily basis using the Telehealth system on site. OR you you will only continue to get life insurance cover after a stroke if you have twice daily blood pressures. As soon as there is a penalty then people will use and demand the technology it. With every penalty there should go a reward, right? Unfortunately the reward is you get to live a reasonably healthy life with timely interventions from those that are keeping an eye on you – this is not yet seen as a reward and there’s the rub. Is end user adoption of health technology vastly different to patient adoption of any other medical treatment? For example, anti depressant medications have changed greatly over several generations, but still for many the thought of needing this medication is unpalatable, not least because we humans tend to retain the ‘bad news’ (eg all the horror stories about the effects of the pills) regardless of the fact that hundreds of thousands of patients are well with the support of this intervention. There has been a move towards prescribing these meds to support an individual whilst longer term therapies can be implemented – talking therapies and CBT are becoming more prevalent but again not everyone needing that support will accept it. Now telehealth may be offering self management tools / clinical awareness raising for depression but we go full circle because some will only feel supported with the pills they have become used to. Modern drugs are costly to develop; therefore some treatable but deadly conditions are left untreated in developing countries resulting in high mortality rates that could be prevented. By comparison creating organisational systems that deliver telehealth at scale is costly (in time and money) but apparently prevention isn’t a big enough carrot … maybe the cynical remark that keeping patients ill pays the bills is not so wide of the mark? We can only change this mindset if before patients and clinicians engage they believe the outcome is about wellbeing rather than illness. If you want to learn how to get end-user acceptance and high utilization see what the Veterans Administration has done. 65,000 users and still counting. Their user satisfaction is also way up there. Thank you all for your response. I believe end user acceptance is vital to the future of m/eHealth, and we ignore it at our mutual peril. A brilliant industrial designer, Raymond Loewy–many of whose designs are as fresh today as they were in the 1930s-1960s–, had a central dictum that governed his work (all of which was designed to sell a car, a railroad, an airline etc.). [b]M[/b]ost [b]A[/b]dvanced [b]Y[/b]et [b]A[/b]cceptable, or [b]MAYA[/b]. ‘Acceptable’ meant to the customer. If those of us in the design and business of m/eHealth kept MAYA in mind, we might save ourselves a few surprises–and see our way more clearly. John–what is the VA doing right that we can learn from? Cathy–interesting contrast v. psychiatric meds, which had a long acceptance curve and now you have more who want a pill rather than talk. Mike, penalties and phrases like “implanting telehealth on the masses” reflect my point #4 about ‘negativity.’ I would like to see you try to impose said penalty on an 80 y/o veteran of the ‘frozen Chosin’ in Korea, a 90 y/o veteran who was a gunner on a Lancaster, or a former Vietnam ‘grunt’ of 68. You might get it to work with employees of self-insured companies, but even when they ladle out the carrots, they have trouble with employee participation. My point is that you cannot force people, at least in our societies (I can think of others where you can), to do what they do not want to do, for long or at all. Understand your customer’s psychology–and understand that you will never have 100% of them, even when only a fool would say no. David–it’s a great idea to enrich the familiar, and this could open up a whole new area of development. I have to agree with your article – When I was a school in the 80’s we all were told about how technology would develop and by 2000 (not even 2012) we would have robots serving and looking after us in our homes! Well I have not had my robot delivered yet and, in fact, I would not want one, however, by now we have the technology to do so much but it’s not be used effectively. I still have to set my heating controls myself and if there is a problem in my home I only know about this when the water is leaking or the room gets cold or the lights go off. Smart homes should be the norm now – systems that monitor temperature, power usage and for other problems should also monitor the care of the people living in the home. If the bedroom gets too cold, if the fridge is not opened, if the front door has not been opened after a certain time etc all this information should be used to provide care when needed. It should not rely on different pieces of technology all doing their own thing. The sensor that turns the light of in the room when it’s unoccupied should also let me know when that room (e.g. kitchen) has not be used for 12 hours. This is all relatively simple to do, especially in new builds, but will in ever happen when companies wish to protect only their products/protocols et? Donna – I totally agree that you cannot force people. You put penalties/rewards in place to assist them in their choice. If they choose not to take you up on it then great that is their choice. If they opt to go with it then great that is their choice. They have to live with that choice. The same in to operate or not to operate – the choice is yours. However if the penalties and rewards are not out there and clear to see how can people ever make an informed choice. Implanting on the masses is exactly that – not on specific 60, 70, 80 year olds but en masse. Implanting the technology and the idea of the technology from cradle to the grave and not waiting until you are knock knock knocking on Heaven’s door before we try and introduce this. I am 90, I have a condition that I have been told is long term – which to me means terminal and will see me off very soon because I am 90 and everyone I know is either dead or moved away. The only person I get to see is this lovely nurse called Cheryl who comes and has a chat with me once every few weeks and she takes my blood pressure. 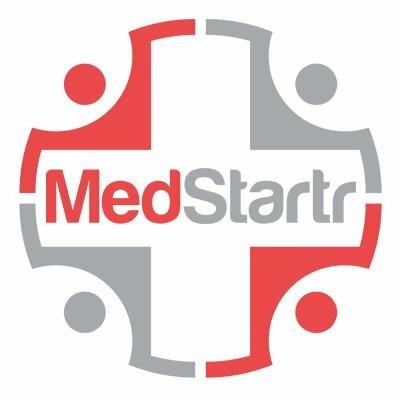 How would Telehealth benefit me? You keep your machine and I’ll keep my Cheryl thank you very much. This is the client group you are talking about Donna and this is where, and why, we are stuck in having pilot projects. Embed it at school, at work, in libraries (are there any left? ), in the supermarket (50 Clubcard points if you do your BP for a month) etc. I am not saying give up on this older generation but we will have to face the facts at some point that they should not be the primary target audience. We should bring them along with us and still incur the associated costs of people and machines being in older people’s homes whilst at the same time changing the culture and expectations of the other generations. The next ‘old group’, boomers, are hardly tech phobic but consume their tech far differently than Gen X/Y. (See MIT’s AgeLab on this) Frankly, I’m waiting for health tech to emerge on that ubiquitous lifesaver of the subway, train and bus commuter–the Kindle and Nook–whose users seem to cut across all age and economic strata.